Lt. General P.S. Rajeshwar taking charge as the 12th Chief of Integrated Defence Staff to Chairman COSC, in New Delhi on November 1, 2018. Lt Gen P.S. Rajeshwar took over as the 12th Chief of Integrated Defence Staff to Chairman, COSC on November 1, 2018. 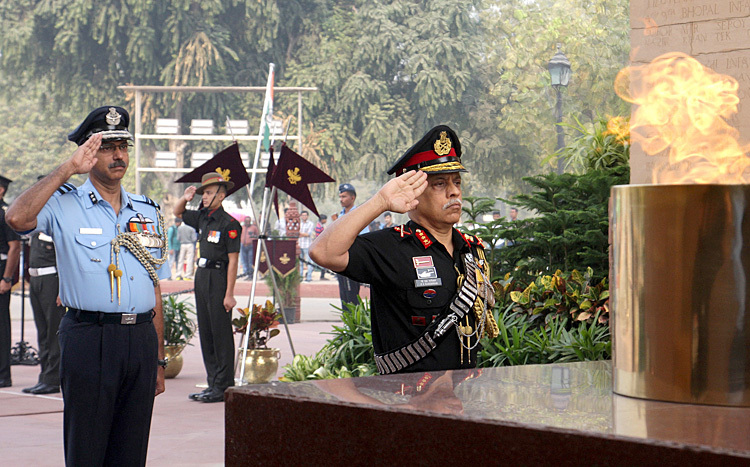 On assuming command, he paid homage to the martyrs at Amar Jawan Jyoti, India Gate and accorded the Tri-Services Guard of Honour at the South Block lawns. Lt Gen P.S. Rajeshwar was commissioned into the Regiment of Artillery in December 1980. He is an alumnus of the Indian Military Academy, Dehradun, National Defence College, Delhi and holds a Masters in National Security Administration from NDC, Philippines. He has rich operational and staff experience with the distinction of serving in operational environments such as High Altitude Area, Counter Insurgency area in the North East & Counter Terrorist Operations in Jammu and Kashmir, apart from United Nations Peacekeeping Operations. 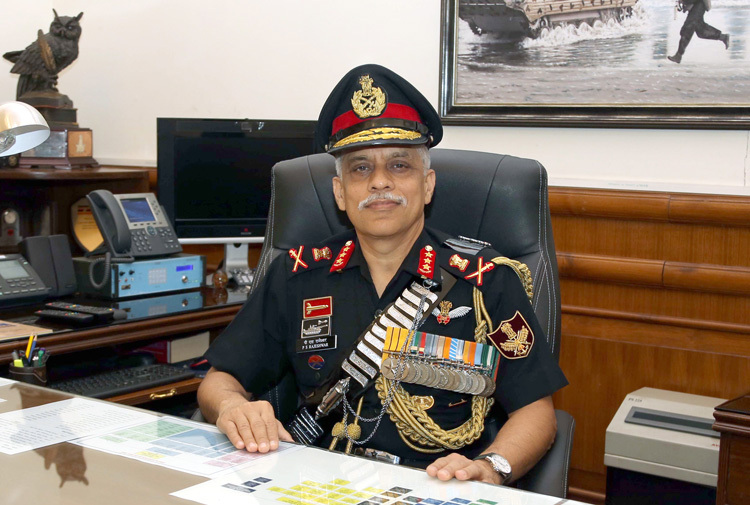 During 38 years of his illustrious career, the General Officer has commanded an Artillery Regiment during Operation Parakram, an Infantry Brigade at the Line of Control, a Counter Insurgency Force in Jammu and Kashmir and a Corps in the desert sector. He has also tenanted key staff appointments. Prior to assuming the appointment as Chief of Integrated Defence Staff to Chairman, COSC, the Lt Gen P.S. Rajeswar was Director General (Perspective Planning) at the Integrated HQ, Ministry of Defence. 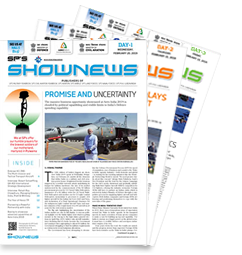 The Incumbent Chief of Integrated Defence Staff to Chairman COSC, Lt. Gen. P.S. Rajeshwar paying homage to the martyrs, at Amar Jawan Jyoti, India Gate, in New Delhi on November 1, 2018. 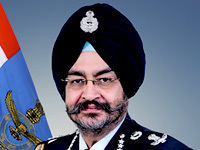 The Incumbent Chief of Integrated Defence Staff to Chairman COSC, Lt. Gen. P.S. 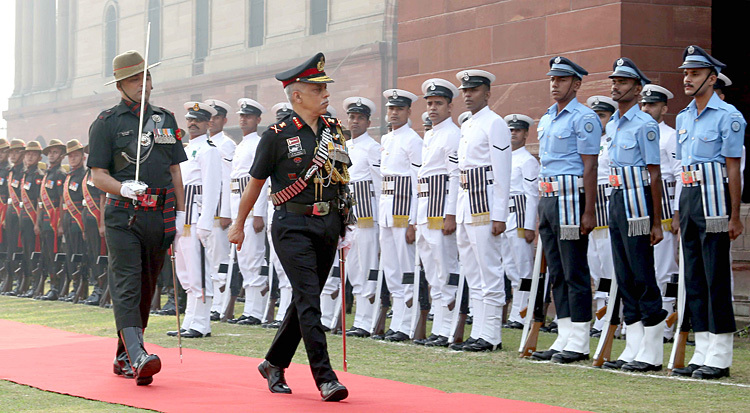 Rajeshwar inspecting the Tri-Services Guard of Honour, in New Delhi on November 1, 2018.